71 episodes of Test & Code - Software Testing, Development, Python since the first episode, which aired on August 20th, 2015. How do you convert manual tests to automated tests? Python's unittest module, advanced features, comparison to pytest, future features, and more. In this epsiode, I interview with Joe Stump, cofounder of Sprintly, to give the startup perspective to development and testing. 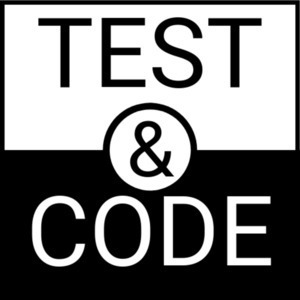 I'm changing the name from the "Python Test Podcast" to "Test & Code". We also discuss edX, Python user groups, PyCon talks, and more. It doesn’t matter if you are using pytest, unittest, nose, or something completely different, this episode will help you write better tests. I interview Harry Percival, author of "Test-Driven Development with Python".